Tagging is a feature we are very excited to release, which will allow you to organize your workflow in a new way. 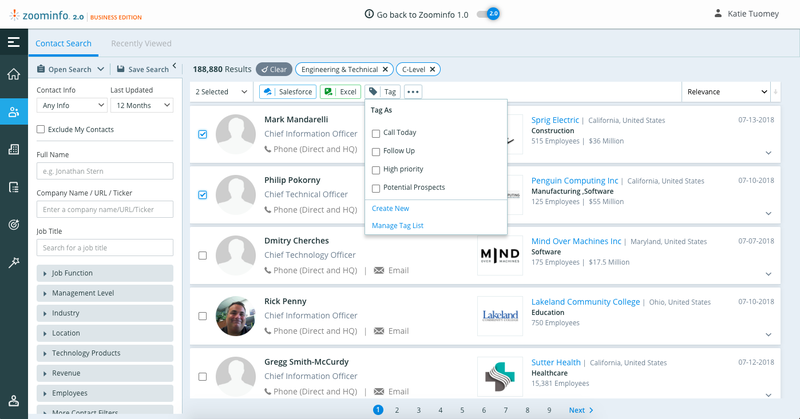 For your convenience, we moved your 1.0 Pro/Connect Saved Lists to 2.0 in the form of Tags, so that you can continue in 2.0 right were you left off. See this page for more information about tagging! 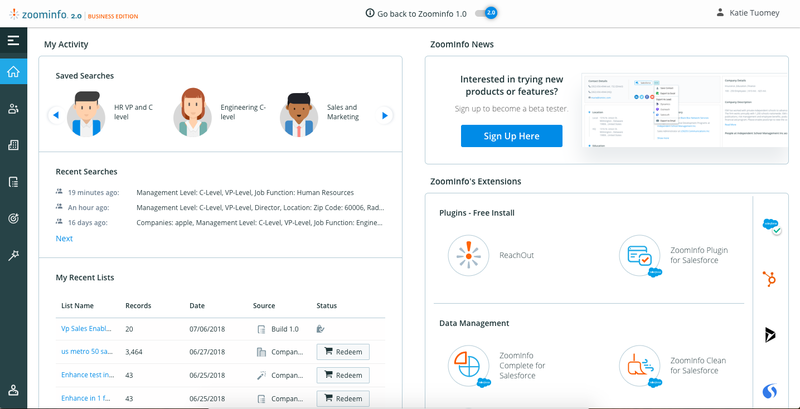 The ZoomInfo home page is a great workflow tool to give you a high level view of some of your recent activity as well as a place to find more information about our additional products and news. 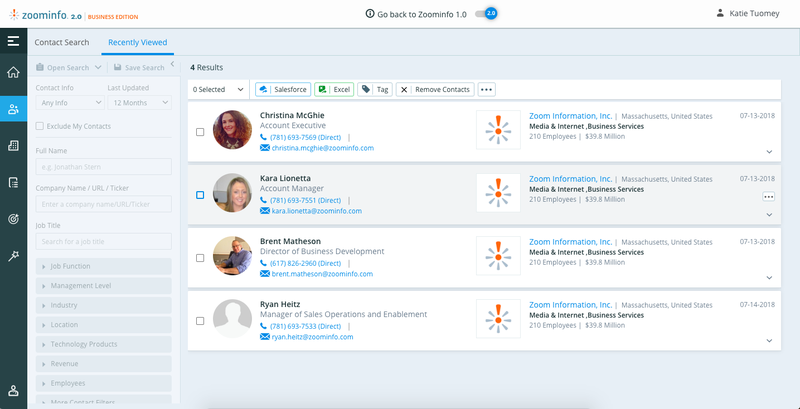 Recently Viewed is a great tool to help save time by allowing you to see the most recent 25 Contact/Company profiles that have been expanded. This list will reset with every session time out.